In the Summer of 2017, WSD launched a new website for Gracyn Robinson. Gracyn’s interior design work has been featured in publications including This Old House, The Boston Globe, Kitchen & Bath, Better Homes & Gardens, and Elle Decor. 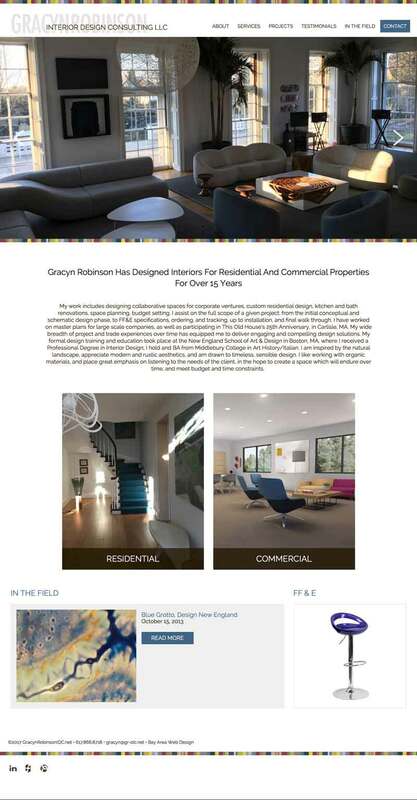 Gracyn Robinson’s website redesign was part of overall brand update. The new website highlights Gracyn’s consulting business and her commercial and residential design portfolio.